Learn about traditional Estonian carpentry in theory and practice, from Estonian skilled builder-scholars. 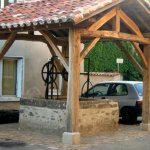 Build and raise a traditional smoke sauna with dove tail joints using only hand tools. Learn about traditional Estonian carpentry in theory and practice, from Estonian skilled builder-scholars. 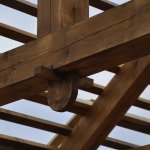 Build and raise a traditional smoke sauna with dove tail joints using only hand tools. Comfortable accommodations in the restored, historic complex at Mooste Manor. Participants are not expected to have any log building experience. 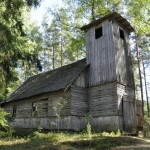 An international crew of volunteers contributed into the conservation works of a tiny wooden Orthodox Church in South-East Estonia, close to the Russian border in May 2016. In the fall of 2015 the log walls were reinforced by the forestry students of Estonian University of Life Sciences under their practice lessons and in the spring of 2016 we restored the tower and changed the roof cover to wooden shingle roof. 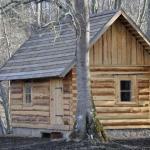 We invite you to learn how the log structures were built in old days only by hand tools. Workshop participants will learn traditional Estonian log-building by cutting and raising a traditional smoke sauna with dove tail joints using only hand tools. Participants are not expected to have any log building experience. We’re inviting you to a six-day Traditional French scribing workshop in Estonia in April 2015. 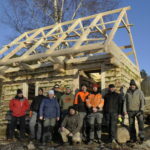 This program is sure to provide an excellent opportunity to sharpen and expand your carpentry and timber framing abilities in both theory and practice within a mixed group of professional Estonian log builders and international carpenters. 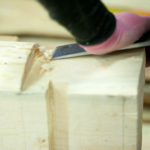 The course was tutored by French carpenter Mourad Manesse. 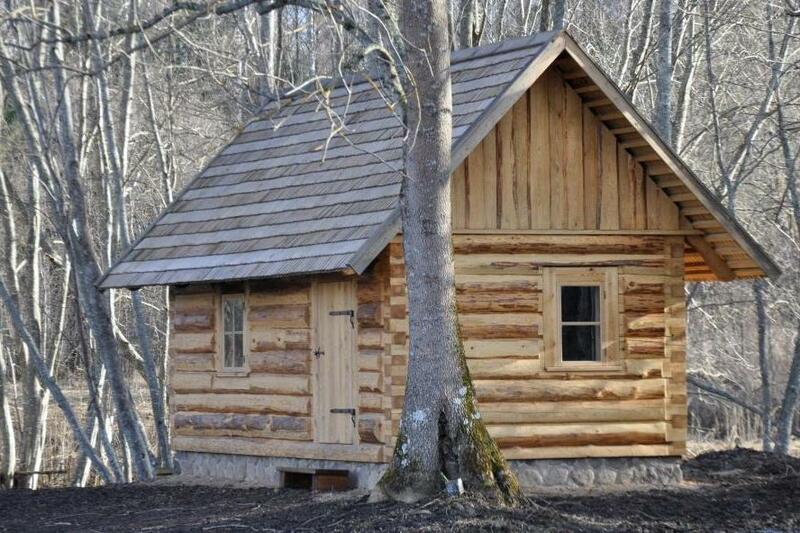 We’re happy to announce a six-day, all-inclusive log-building workshop in Estonia in March 2015. This is a valuable chance to learn about Estonian carpentry both in theory and practice, from some of the country’s pre-eminent builders and scholars. 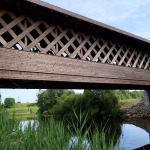 In 2012 we built Estonia’s first covered wooden bridge in Lemmaku, north-east Estonia. 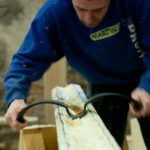 This was also our first international workshop where we had volunteering carpenters from UK, USA, France and Estonia. Wooden parts were built and raised with about 20 volunteers, the shingle roof was built with the help of 50 students and another 20 people were helping with various other tasks (cooking, sauna heating ect).